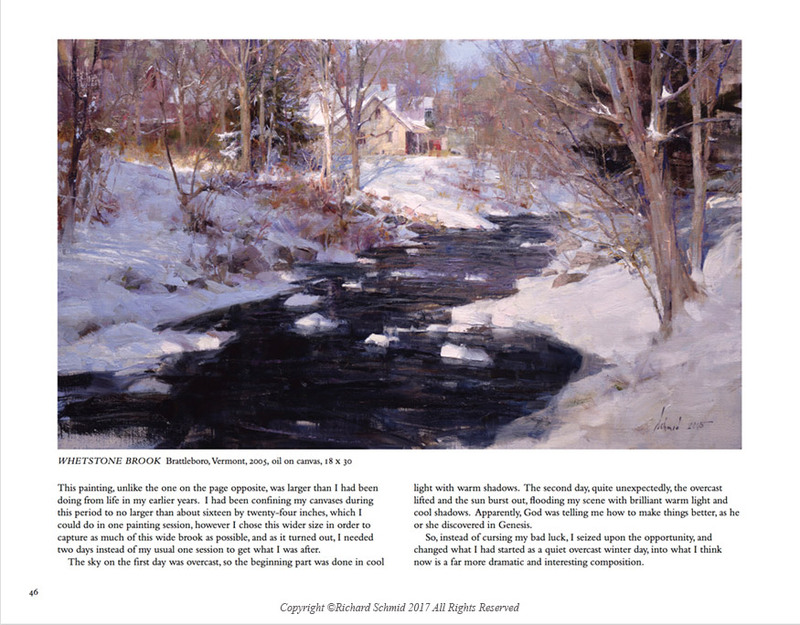 This large format book of Richard Schmid’s sixty-five years as a landscape painter, with over 300 color images, has been color enhanced using the latest state of the art printing technology. 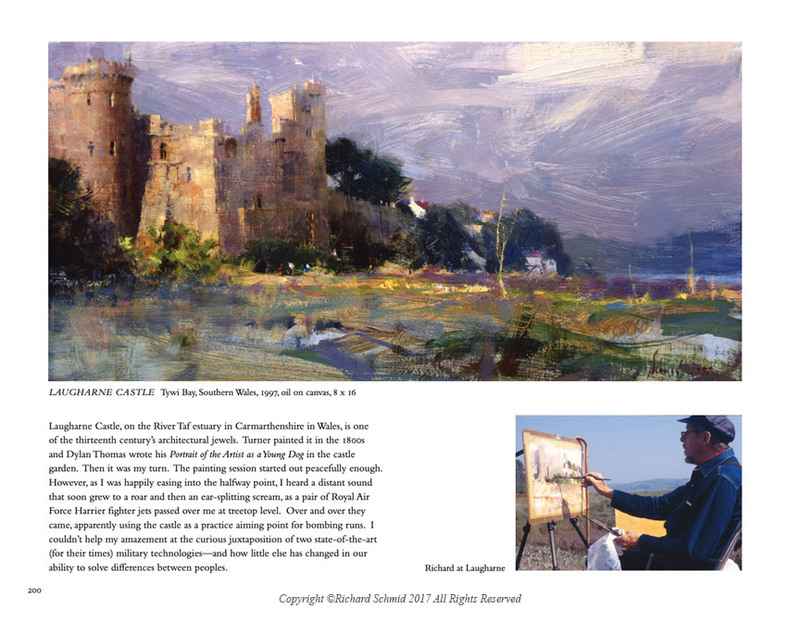 Richard further enriched his landmark book with over 100 new captions and many new original drawings in the margins. 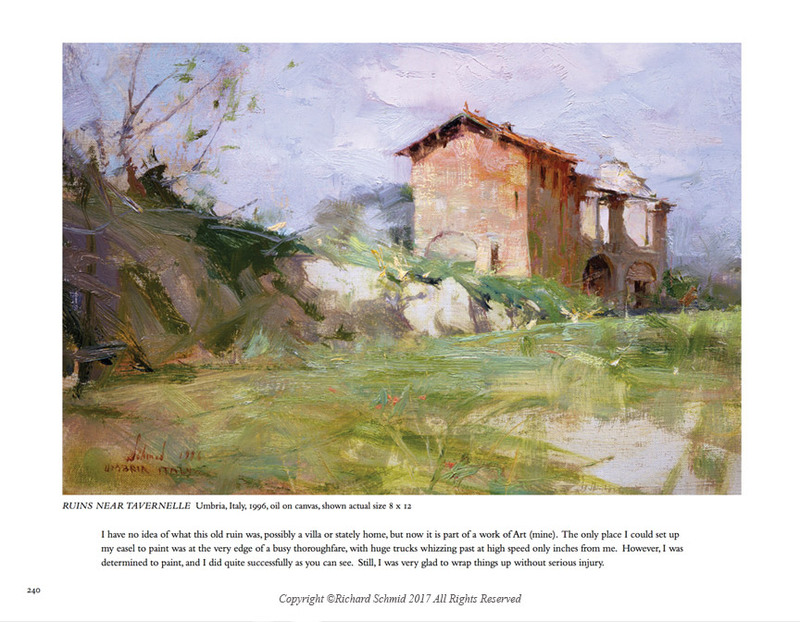 This is the visual tale of an artist and his life-long romance with the colors and light of our earth. 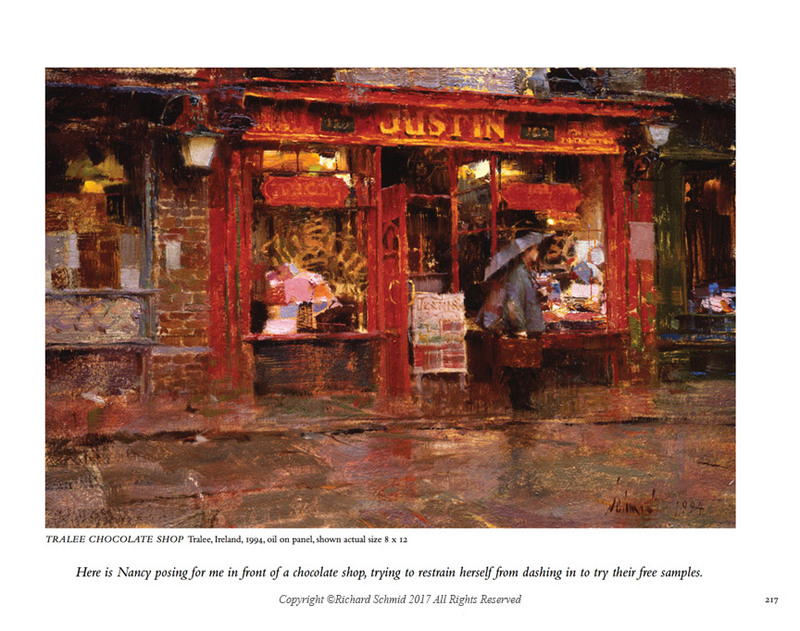 With delightfully candid narrative and over 300 full color images, Richard reveals what it is like to go out and capture life as it is happening. 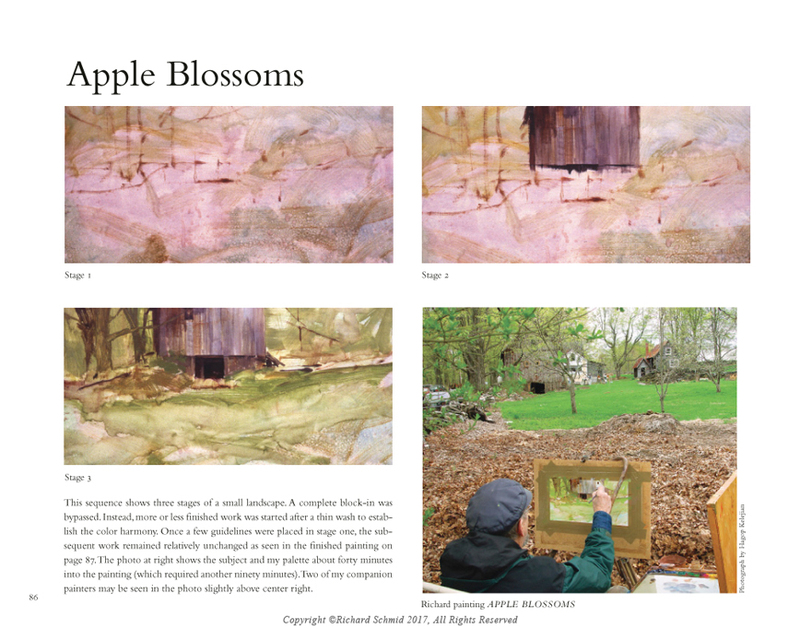 The reader will discover how landscape painting is unlike any other form of art; and that artistic skill is only one of the many abilities demanded. 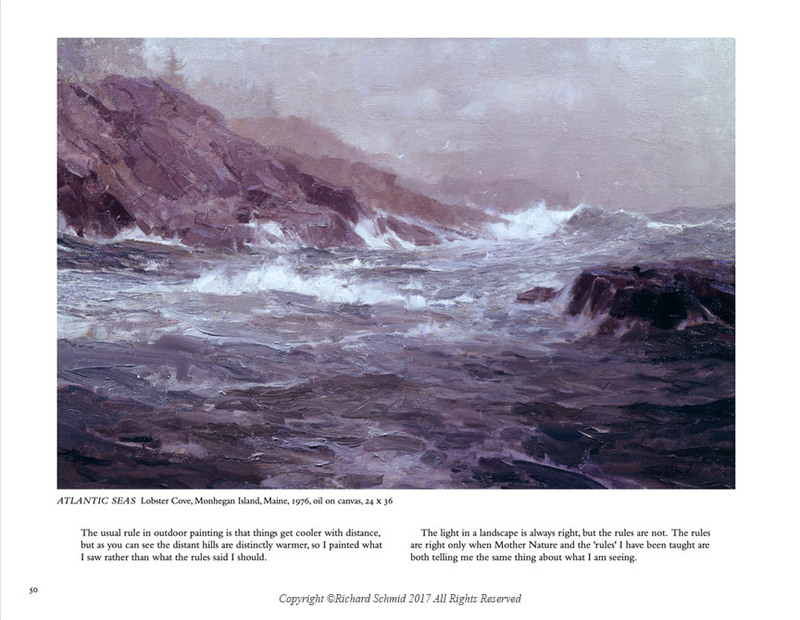 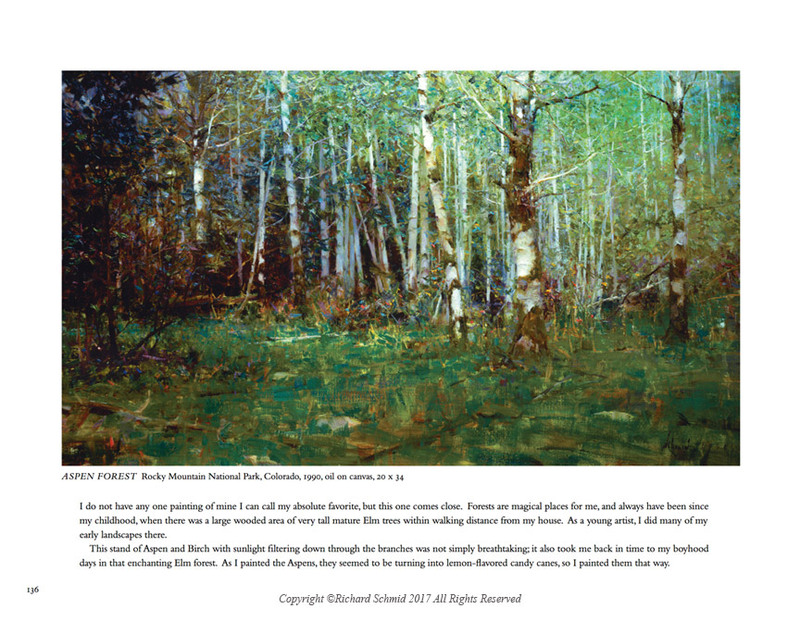 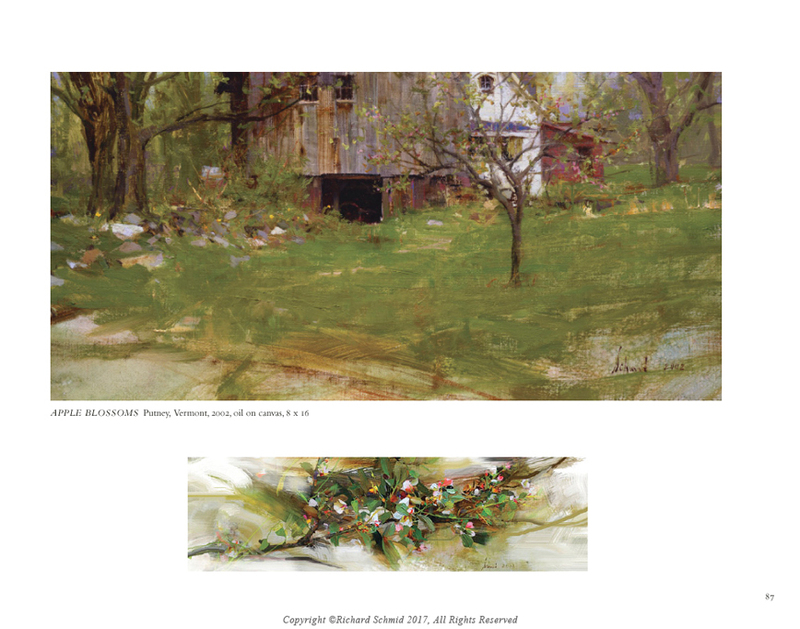 This large format book focusing on Richard Schmid’s sixty-five years as a landscape painter, has been color enhanced using the latest state of the art printing technology. 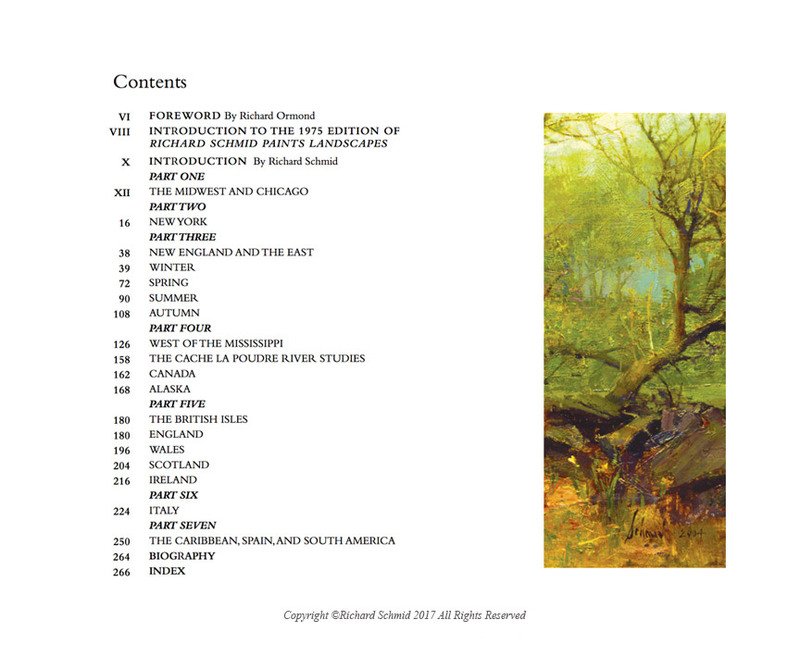 Richard further enriched his landmark book with over 100 new captions and many new original drawings in the margins.